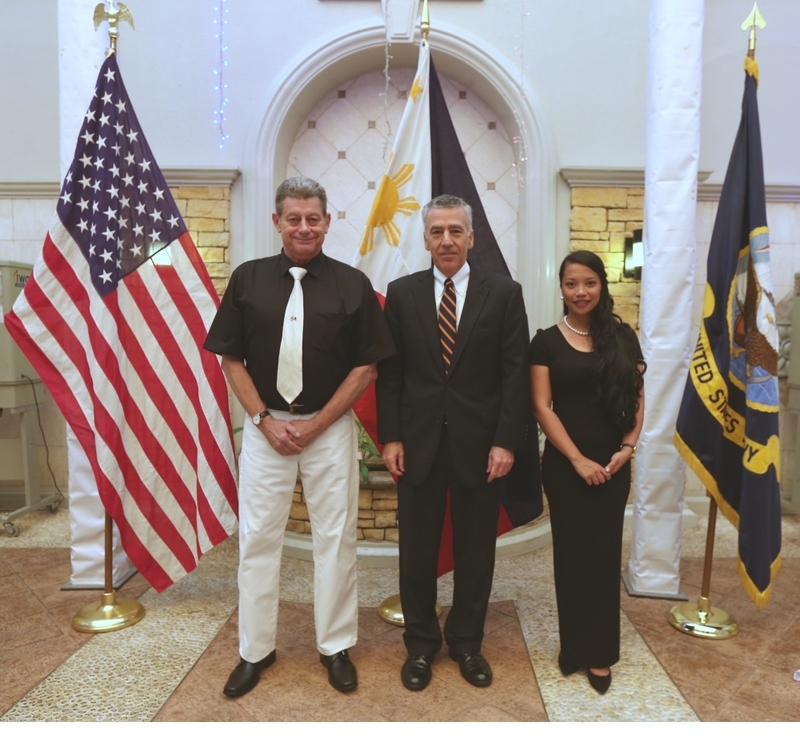 United States Embassy—Manila, Philippines. 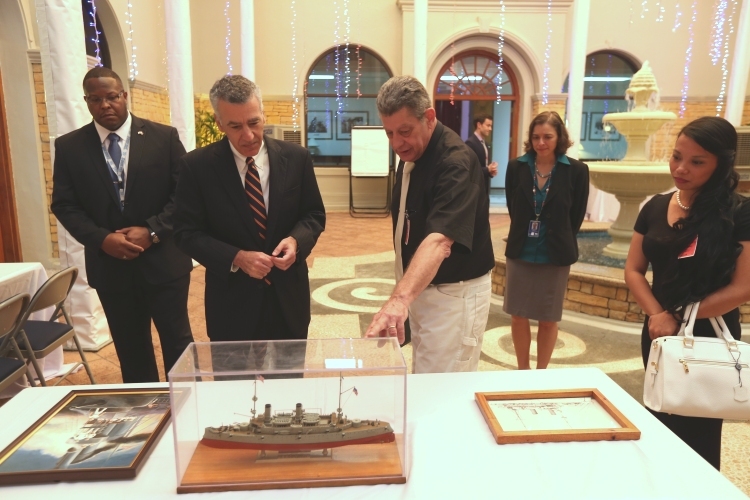 Donation of USS Olympia/Commodore George Dewey Art Gallery. 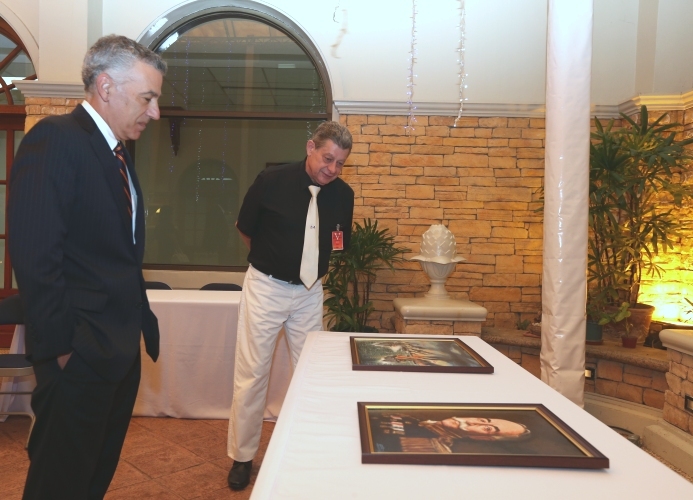 Special venue and presentation at the Embassy Chancellery with US Ambassador Phillip Goldberg accepting the Gallery. 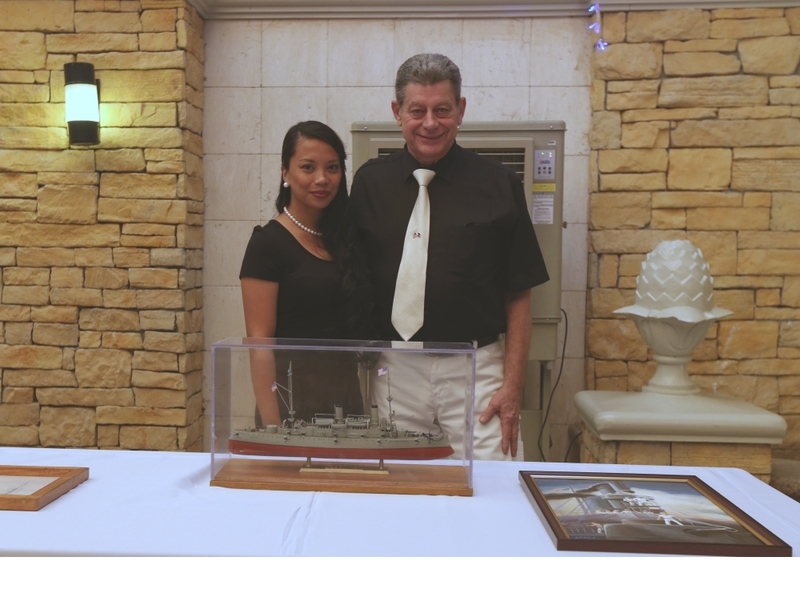 Donation included canvas paintings of Commodore Dewey, two paintings of the Naval Battle of Manila Bay, May 1st 1898, official commissioning photo of USS Olympia (C-6) in 1895 and a 1/240 scale model of USS Olympia (C-6), set on a Philippine mahogany wood stand, and placed in a glass case for permanent display. No media allowed at venue. Received official Embassy Letter of Acceptance.